John William Graff was born in 1903 at New Ulm, Minnesota. He received his B.A. degree from the College of St. Thomas in 1925 and his law degree from the University of Minnesota in 1930. In 1936 he received a doctorate of jurisprudence from Georgetown University. He in 1934. He practiced law in New Ulm until 1934, when he married his high school sweetheart Thelma Rinke and joined the Agricultural Adjustment Administration. In 1939 he became assistant U.S. District Attorney. In 1948 he was appointed U.S. District Attorney for Minnesota by President Harry Truman, where he served for a little over a year. He then practiced with the St. Paul law firm of Hoffman and Donahue, which later became Graff, Schultz & Springer, until he was named to the Ramsey County district bench. 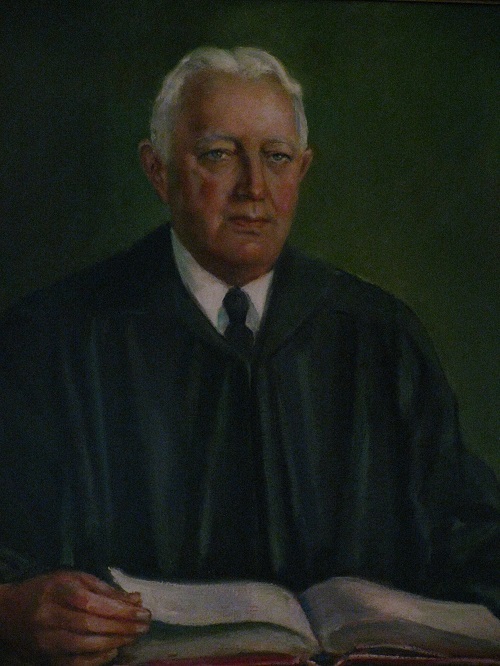 Graff was appointed to the Ramsey County District Bench on May 5, 1949 by Governor Orville Freeman, succeeding the late Judge Carlton F. McNally. Graff served 15 years on the Ramsey County District Court Bench, and was Chief Judge when he retired from the bench on May 5, 1974. He stayed on as a “senior judge” until he was stricken with illness shortly before his passing. John W. Graff died on April 28, 1977 at the age of 73. He was survived by wife Thelma and their three daughters, Teresa, Joan, and Constance.